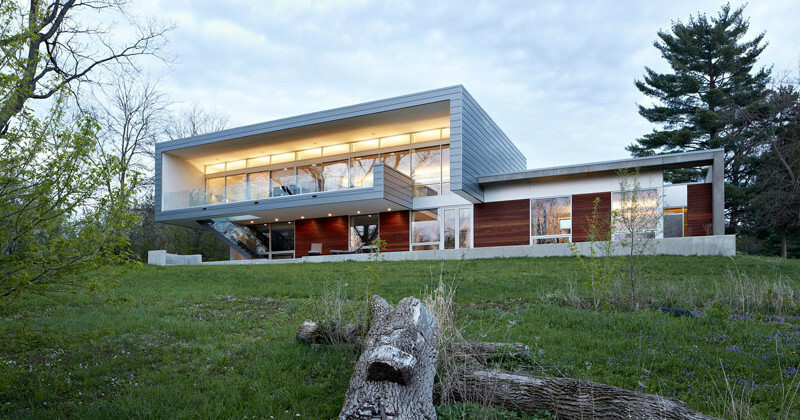 Studio Dwell have designed this multi-level home in Wayne, Illinois, that has the social areas above, and the bedrooms nestled into the sloping site. 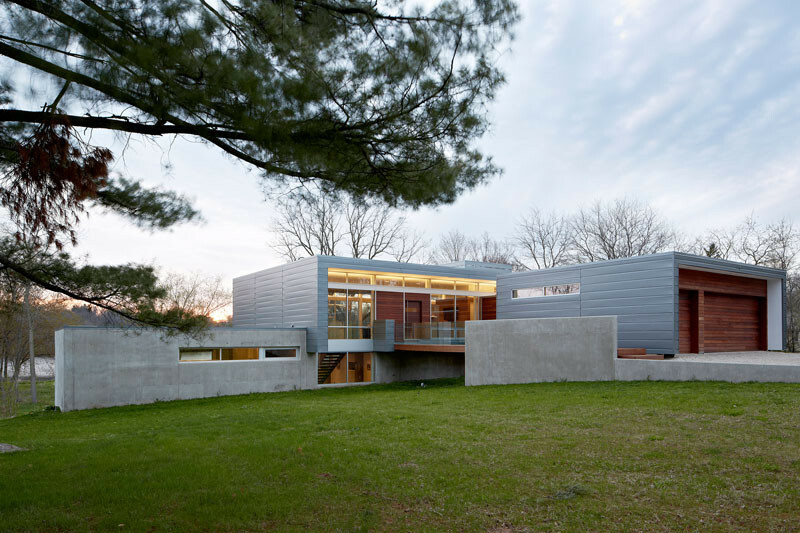 The base of the home is exposed concrete, with the upper level clad in anodized aluminum panels. 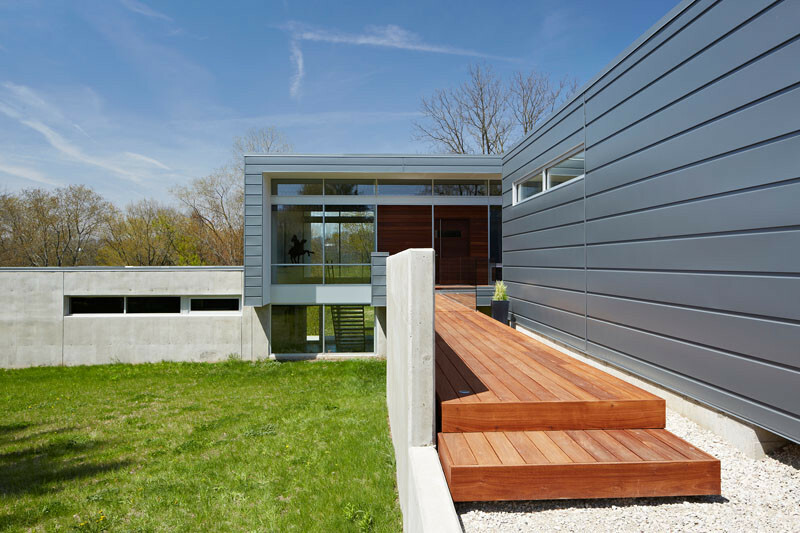 Accents of Ipe wood provide a material and visual contrast between the concrete and aluminum panels. 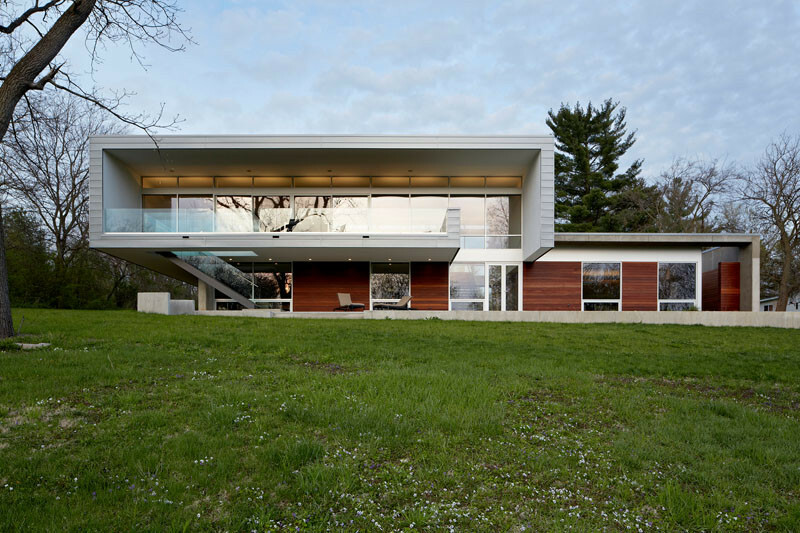 An open glass-lined bridge guides visitors to the front door. Inside, a half wall helps define the living area. 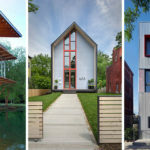 This wood clad box houses the fireplace, pantry, and kitchen components. Here you can see how the appliances are neatly tucked away. Hardware-free white cabinetry has been used throughout the kitchen. 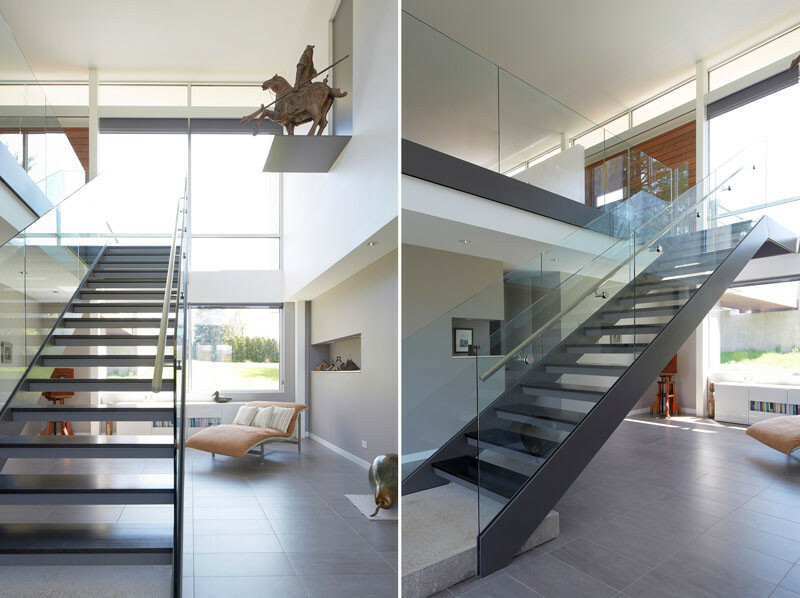 Exposed steel stairs with glass railings lead to the lower level of the home. 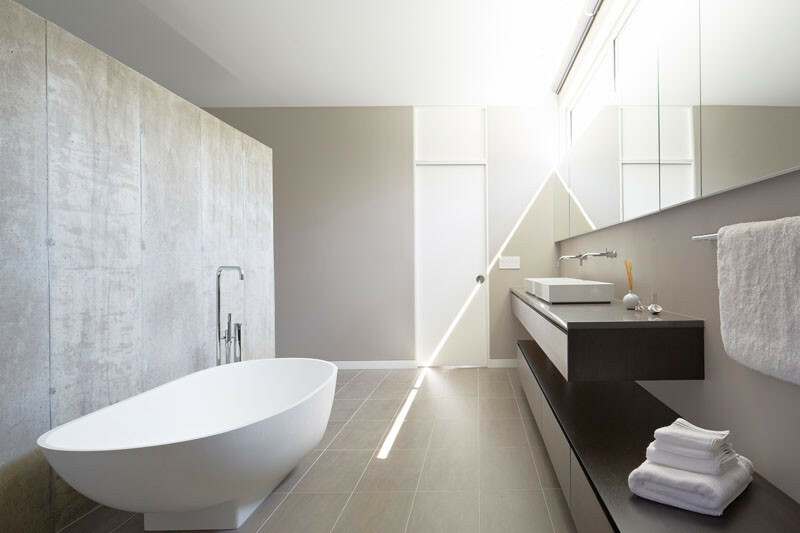 The master bath is filled with natural light, and the partial height exposed concrete wall separates the bedroom and bathroom. 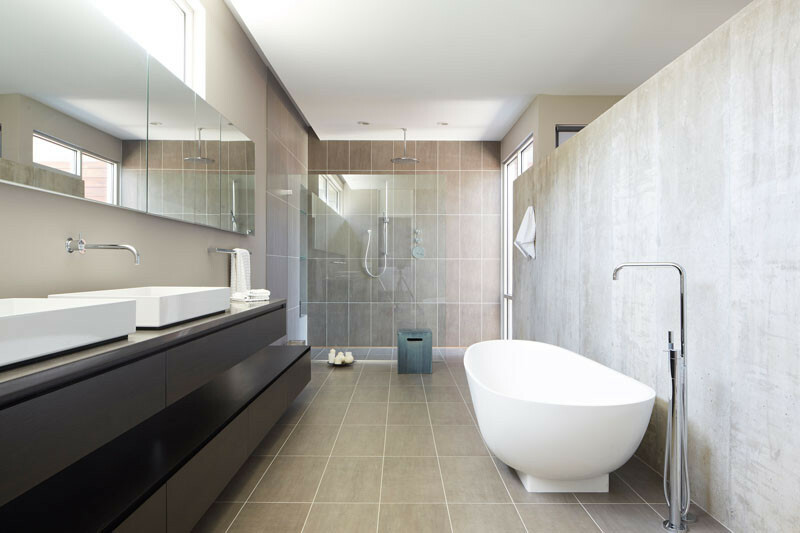 The bathroom also includes a large shower with rainfall a shower head.